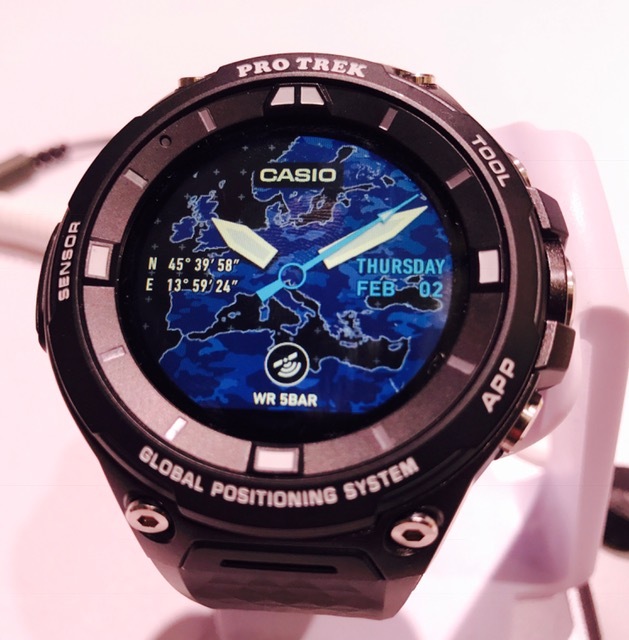 Casio's new version of its Pro Trek watch comes with GPS and a color map display. The watch face can be switched among several data faces including Date, Barometer, Altimeter and Compass. The watch will also run Android Wear so users can stay connected to email and messages. The Pro Trek WSD-F20 is scheduled to be released in April with a $500 price.